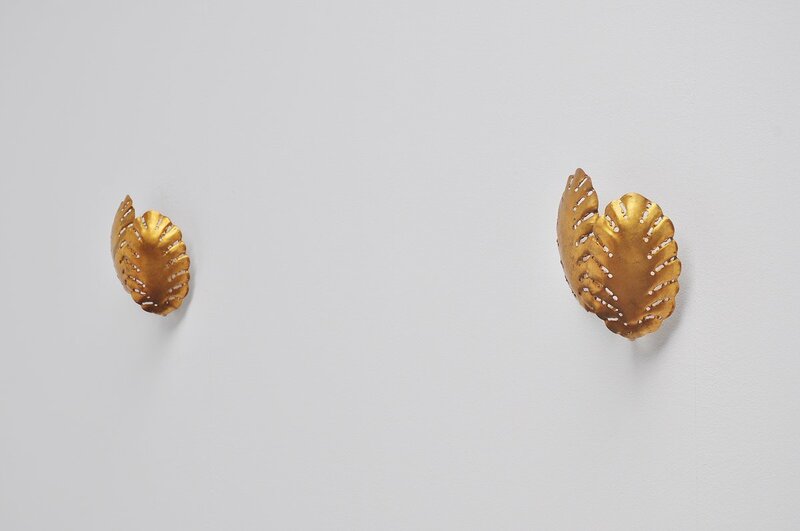 Very nice pair of double leaf sconces designed by Svend Aage Holm-Sorensen for Holms Sorensen & Co, Denmark 1960. 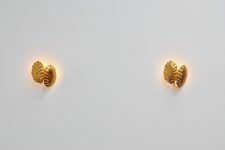 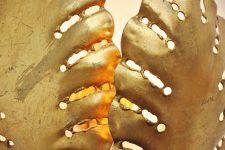 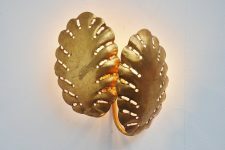 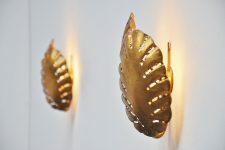 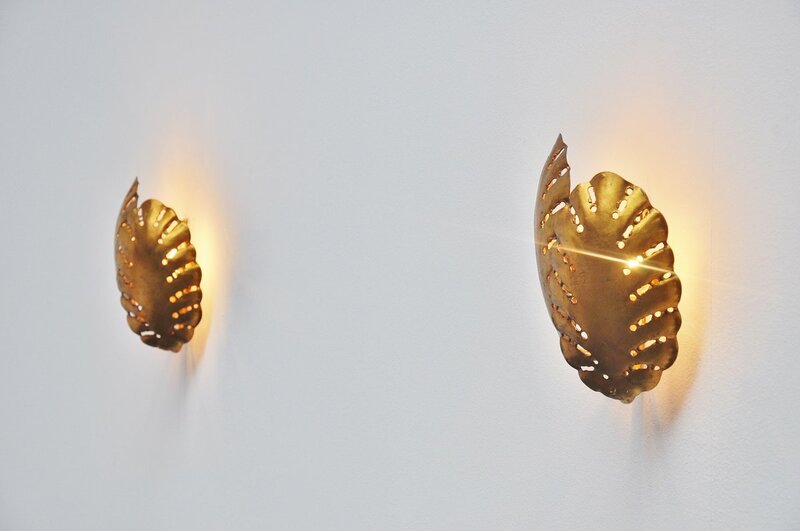 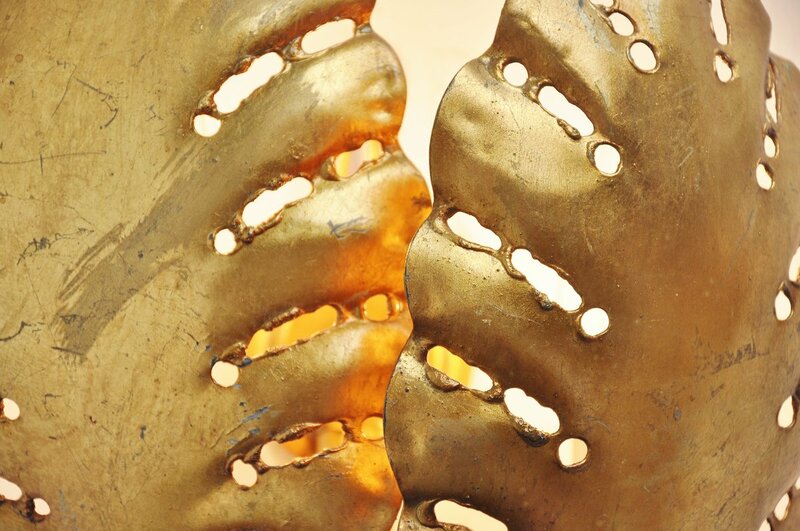 These very nice wall lamps are made of gold finished brass and give very nice warm and diffused light when lit. 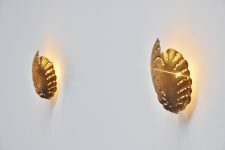 They use a normal E14 bulb up to 69 watt and are easy to wall hang using only 1 screw.